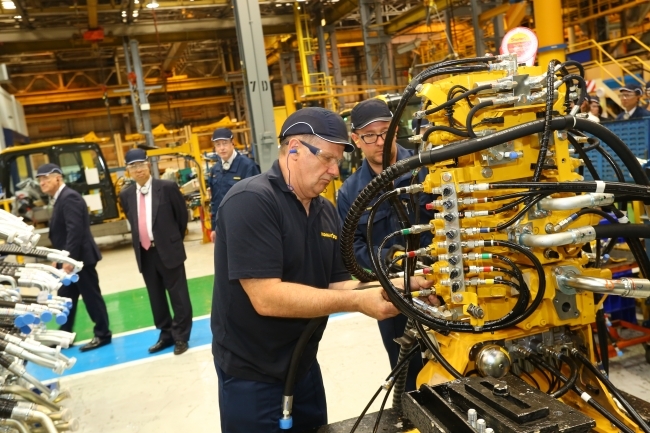 Komatsu UK has celebrated three successful decades of manufacturing in the North East of England, since it was officially opened by His Royal Highness The Prince of Wales in 1987. One of the region’s most recognisable brands, Komatsu UK has been designing, developing and making excavators at its Birtley plant, just south of Gateshead, for 30 years. 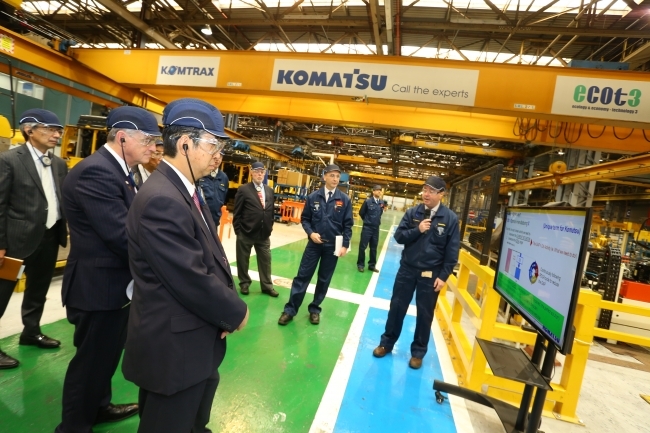 Komatsu Group global CEO, Tetsuji Ohashi, joined employees, senior management, senior representatives from Gateshead Council and selected invitees to mark the milestone. Komatsu UK managing director, Peter Howe, who has been with the firm for 24 years, said: “At Komatsu UK, we are a family – we all celebrate successes, we pull together during tough times, and we work as a formidable team to continue to drive innovation and productivity at this brilliant plant. The firm has enjoyed an incredible year so far in 2017, launching four new excavators from its Birtley base, including the award-winning PC390HRD-11, created and perfected by Komatsu UK employees. Ohashi-san said: “I have nothing but fond memories of my time at Birtley and learned so much during my time years here…and it is fantastic to see so many old friends and colleagues here on this momentous day. “Komatsu UK arrived at a time when North East industry was changing dramatically. Not only did I work at Komatsu UK, but back in 1984, before the site was acquired, I was one of team members seeking a suitable location for the plant. I am not exaggerating when I say the whole region opened its arms to welcome us and we have felt that this is my second home ever since. In particular, I thank Gateshead Council, which supported us when the plant was established, and continued to do so ever since. 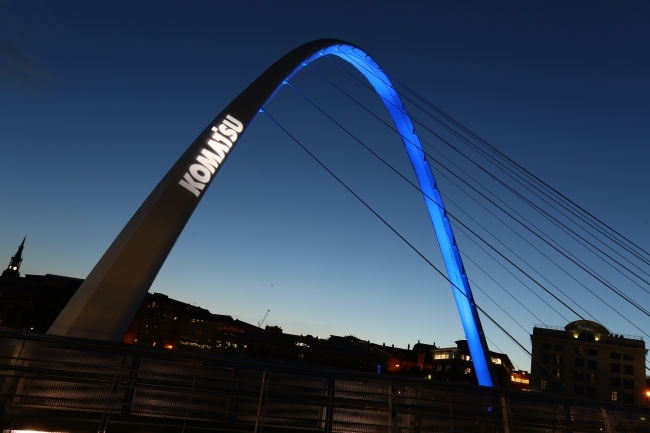 I am also very pleased that the strong ties between Gateshead and Komatsu City still remain. One of the employees welcoming guests to the event was HR officer Jackie Lowe one of 30 people to have been at Komatsu UK since it first opened. “I have spent practically my entire working life at Komatsu and what an incredible time I’ve had”, said Jackie. Komatsu has delivered high-quality excavators since 1987, when it helped redefine modern manufacturing in the North East, establishing a range of Japanese practices and ways of working unheard of in most UK plants. Komatsu was at the forefront of the creation of a whole new industry in the North East that centered around automotive and construction equipment manufacturing. Thirty years on, the firm employs around 400 people and remains at the forefront of manufacturing excellence. Testament to the company’s reputation as an excellent employer, 12 percent of the company’s current employees are celebrating their 30th year of service with the company in 2017. • Komatsu UK is continuing to grow, and is currently recruiting 40 new employees.